One of the most important periods when recovering from a back injury occurs when someone first returns to work. Going back too soon, or doing something incorrectly, can result in a recurring injury. That’s why it’s vital that workers understand when they can safely return to work and when they can resume normal duties. This topic was a recent point of focus on EMS1, a website devoted to the work of emergency medical technicians. 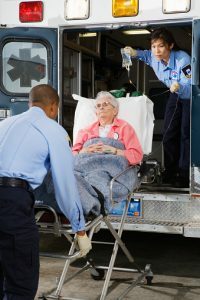 While their advice is specifically worded for EMTs returning to work after a back injury, the article contains principles that can be applied to any physically demanding job. In fact, while these principles are geared toward those recovering from an injury, they can be helpful in preventing injuries in the first place. Mobility is a crucial issue. The article warns EMTs that “before you can move patients, you must be able to move well yourself.” This is a good guide for any job that includes lifting and moving heavy objects. The first priority of a worker recovering from a back issue is preventing further damage. A worker that is not yet moving normally is not ready to handle the strain associated with his or her job. However, once lifting and carrying are viable options, workers need to keep some practices in mind. Avoid Bending: The practice of bending forward to grab a heavy object puts strain on the back. And the further forward one bends, the more shearing weight is placed on the spine. The worker’s head and chest should always be up with the back straight when lifting. Stay Strong: The muscles used in lifting also help keep the spine, knees, and other body parts safe and properly aligned. Strengthening these muscles reduces the amount of strain a given lift places on them. This, in turn, reduces the possibility of injury. Exercise key muscles to ensure safe lifting practices. Have Allies: It may be difficult to get the justice a worker needs, especially when that means collecting enough from workers’ compensation to stay out of the workplace until recovery is safely complete. Help and support are invaluable for a worker with an injury. In the event that you are injured at work, you need an experienced attorney at The Law Offices of Deborah G. Kohl on your side. Contact us today. When workplace violence explodes, it leaves a trail of shattered lives. It also raises questions. Were warning signs missed? Could anything have been done to prevent the tragedy? In a touching essay, “The Day My Husband Didn’t Come Home From Work,” Jody LaVoie offers valuable insights as someone who has suffered the painful loss of a loved one to workplace violence. LaVoie’s husband, Steve, was shot by a bitter employee who knew he was being demoted. Months later, Steve succumbed to his injuries. Besides Jody, he left behind three daughters. Jody LaVoie writes that workplace homicides are rising – jumping an alarming 19.9 percent from 2015 to 2016, according to the U.S. Bureau of Labor Statistics. The total number of deaths was 500. Every year, 2 million American workers report they have been victims of workplace violence. Have a workplace violence policy that is shared with employees. Have and promote an employee assistance program. Host and support emotional wellness activities. Have a way to limit entrances and exits to the workplace, such as an electronic badge system. Have managers who take an active role in employee awareness, are alert to warning signs and know how to respond. Have a formal process for employee demotions and terminations. Have a system in place for employees to report threats, violence or imminent danger. Consider whether predictive behavior modeling – technology that analyzes data to generate a model that helps predict future outcomes – might be useful. Host emergency preparedness training, including active shooter training. Unfortunately, despite workplace tragedies that make headlines on a regular basis, some employers lack the foresight to take steps that will protect their workers. 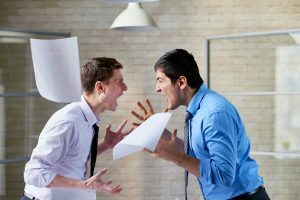 Furthermore, they may continue risky work practices, such as maintaining low staffing levels that increase employee stress, or ignore warning signs, such as angry outbursts, that indicate some workers pose a threat. If you’ve been the victim of workplace violence in Rhode Island or Southeastern Massachusetts, you are likely overwhelmed by your situation. You probably have questions about how workers’ compensation may apply to your case. Barely able to care for yourself, you may be under additional pressure from your employer or their insurance company to settle any claim for far less than you need or legally deserve. The workers compensation lawyers at the Law Offices of Deborah G. Kohl have experience handling cases just like yours. They will aggressively protect your rights with professionalism and compassion. They offer free case consultations while working on a contingency basis, meaning you pay nothing unless they win your case.